* Do you frequently wait by the mailbox for the "check that's in the mail?" * Do you spend your free time calling tenants or repairmen? * Do you spend your gas on trips to meet potential tenants who don't show up? * Do you frequently get late night phone calls for repair problems? * Do you avoid confrontations with problem tenants? If you answered yes to any of these questions, take a few moments to consider the advantages of having your property managed by a professional. Experienced in investment and income producing properties since 1984, Eileen Miller is a member of the "Apartment Association of Tarrant County", the "Greater Fort Worth Association of Realtors", and the "Texas Apartment Association". 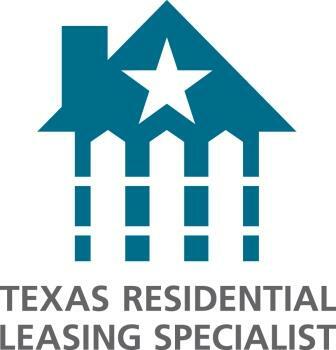 Leasing - By using signs, flyers, ads, MLS, this website and some national websites, we get the attention your property needs for quick occupancy. If you prefer to manage your property, but need help finding a tenant, we can lease it for you promptly for a small fee. Tenant Screening - We lease only to carefully screened, qualified tenants. A credit check, background check, detailed rental reference check and employment verification are completed on each applicant. Maintenance - A full time maintenance technician is available for emergency repairs, daily maintenance, and even complete remodeling. All repairs are supervised to insure that the work is done promptly and correctly. Any contract work is done by qualified contractors who are dependable and reasonably priced. Accounting - Each month you will receive a statement, complete with all income and expenses. In January, you will receive a year end statement for your tax preparation. Consulting - Problem tenants or property issues? We can provide guidance and information to restore profitablility to your investment properties. I have been an investor in the DFW area for 30+ years. When I learned that I was going to move back the the east coast. I knew I had to select a management company that was 100% trustworthy and would manage my properties as if they were their own. Moriah Property Management has surpassed all of my expectations. Repairs are accomplished quickly and professionally by their repairmen. Vacancies are filled quickly with responsible tenants and my monthly statement is always mailed out to me promptly. Moriah Property Management has been a joy to work with and a tremendous blessing to our family.